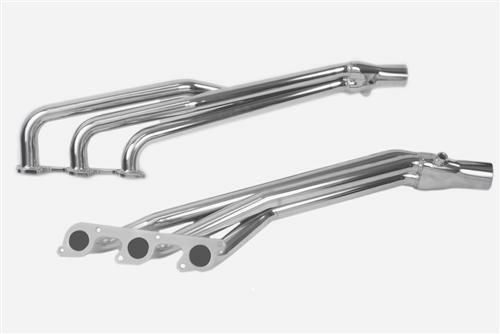 We no longer carry the 2005-10 Mustang Pacesetter Long Tube Headers Ceramic Coated V6 4.0L. 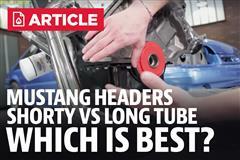 Check out Mustang Pacesetter Headers for an updated selection. Get your 2005-2010 Mustang 4.0L V6 out performing the competition with Pacesetter long tube headers! Wanting to increase the power of your 2005-2010 Mustang 4.0L V6? Pacesetter has the solution with these long tube headers. By replacing your restrictive stock exhaust manifolds with these 1 5/8" primaries and 2 1/2" collector long tube headers, you get more exhaust flow which gives you more horsepower and torque. With a ceramic coating, these headers stay cooler to reduce under hood engine temperatures.